"Readers say iPads, ‘bring your own device’ policies can be effective if well thought-out ... but they cautioned against believing the iPad hype machine." Every few years, new technologies—and the policies that go with them—make a splash in schools, and this year, Apple’s iPad and “bring your own device” (BYOD) policies are all the rage in ed tech. It’s no surprise, then, that recent stories about these two ed-tech trends—“Schools see rising scores with iPads” and “‘Bring your own device’ catching on in schools”—should be among our most widely read stories so far this year. Readers expressed overwhelming support for BYOD as a strategy to get mobile learning tools into the hands of more students in a cost-effective way, although some raised questions that need to be considered as schools adopt BYOD policies of their own. As for our story “Schools see rising scores with iPads” which described the experience of a few California schools that have adopted iPads in the classroom, many readers said the iPad is a new way to engage students—but at the end of the day, it’s just another tool to help students learn … and perhaps some of the hype has gone too far. How to Implement Mobile Learning: Practical Considerations. Mobile learning should not just be traditional e-learning on a smaller device. So what are the key considerations when planning for mobile learning? 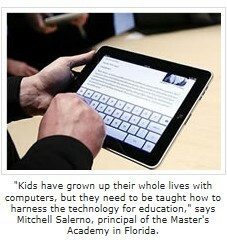 For what learning situations is mobile learning a good fit? What are the best uses of mobile learning? 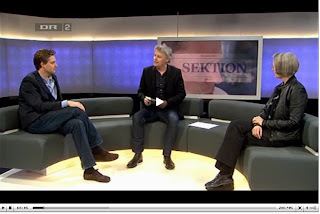 How can mobile learning support other types of learning in the organization? Tom Werner, chief research officer, Brandon Hall Group, will share insights on what to think about when planning for the implementation of mobile learning. Also available "on demand" any time 24 hours after the event. We know that districts are being held accountable for more, and being asked to do so with less funding. As a result, districts today are looking for new ways to effectively implement technology that can engage students and boost academic achievement. Blended learning, the teaching practice that combines both face-to-face and online learning, offers several models of instruction to engage students in and out of the classroom. It has proven highly effective in helping schools and districts address the challenges of student achievement, limited resources, and the expectations of 21st-century learners. 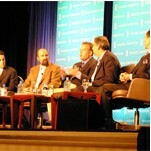 It is also the fastest growing component of online learning. Join us for an in-depth discussion on blended learning led by two experienced practitioners, Pam Willingham and Dorothy Hirata. Hear about the many teaching and learning objectives they are meeting through the implementation of a blended learning program. Also learn how the two districts have grown the level of adoption by their faculty over time by championing accomplishments of the program. You will also hear from John Canuel, who will briefly talk about current online learning trends and how Blackboard can help you address several of your current academic challenges. Julia Murphy has been in touch to share with us "50 Educational Blogs Every Online University Student Should Read". If you’re studying for a degree online, it might help to know what educators know about online learning — the news, policies, processes, technology, culture and resources that are pushing online education into the future. The following 50 educational blogs you should know about as an online university student are just a smattering of all the blogs available on the Web. 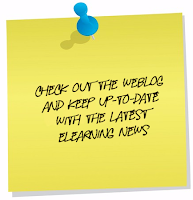 These particular blogs are updated, and many have been online since the advent of online learning. 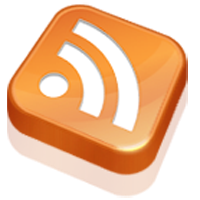 Thank you for mentioning my weblog in your article. Dennis Pierce, Editor writes, "Our top story today describes a number of ways that eSchool News readers are using iPads in their classrooms. Also, in something of a surprise, the buzz coming from an annual publishing industry trade show last week had Barnes & Noble, and not Apple, as Amazon.com's top competitor in the eBook market … and college instructor Rebecca M.R. Costello offers five tips for connecting with online students." 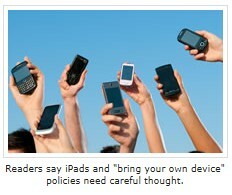 eSN readers discuss their experiences using the iPad with their students. Whether you think it’s hot stuff or just fluff, the iPad has caught the eye of many educators. Here’s a list of five ways that eSchool News readers say they’re using iPads in the classroom. 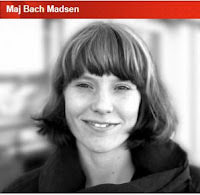 Følg med i denne interessante debat mellem sociolog Mette Jensen og redaktør Timme Bisgaard Munk. Går du i seng med din smartphone? Patter du på din Ipad? Kan folk der elsker deres mobiletefoner og laptops for alvor være til stede, når de er sammen med andre mennesker? Er du også ramt af mobilitetsmani? This recently opened store makes it easy to entertain and educate children. These days, entertaining children is a full time job. It’s important to mix in learning and education with the fun, and that takes a healthy dose of creativity. Implementing favorite activities like arts and crafts is one great way to do that. Parents, grandparents and others are looking for a store that offers the kinds of items that children really respond to. Thanks to one new store, shoppers now have that go-to place for children’s items. Recently established by entrepreneur Kathy Tiersma, City Buys is an Internet store that provides all kinds of wonderful items that kids are sure to love. 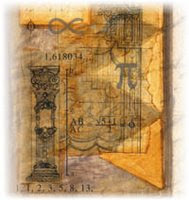 The site is available at any time of day to their customers via the web at http://www.city-buys.com. Shoppers will find the web store to be quite easy to use. City Buys features a user-friendly interface and a helpful search function that makes the shopping experience enjoyable. Even for those people who don’t have much experience with making purchases on the web, the site proves to be safe and simple. City Buys offers their customers great deals on arts and crafts, learning and education items and toy furniture. For anyone looking to give their children some fun while also letting them show some creativity, this is a must-visit store. 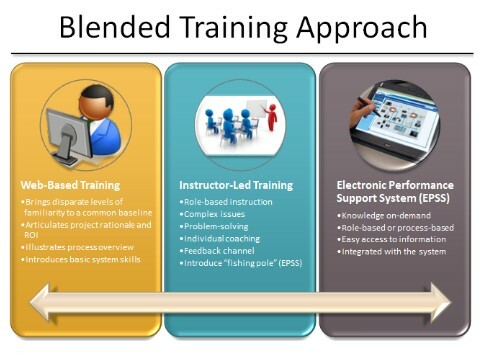 Jolene, Dashe & Thomson’s Social Learning Blog writes, "I’ve been creating blended training solutions for years that look something like this:"
My model needs a face lift. Disruptive innovation (termed as such by Harvard Business School Professor Clayton M. Christensen) brings simplicity, accessibility, affordability, and customization to complicated, expensive, and standardized products and services. Disruptive innovation fundamentally transforms the landscape rather than merely sustain the conventional structure. On June 1, join us for a webinar exploring the why's and how's of offering training content on the iPad. 1:00 p.m. - 2:00 p.m. EDT. ﻿We'll begin with an interview with industry luminary Elliott Masie, chair of the Learning Consortium, where he'll share valuable insights on how the iPad has transformed learning. We'll follow this with the industry premier of Pastiche by Xyleme. Learn how this revolutionary product allows you to leverage your existing textbook, eLearning, assessment and performance support materials to rapidly create and deploy blended learning iPad applications. If you're serious about the iPad for learning, this is a can't miss! Elliott serves as an advisor to a wide range of government, education and non-profit groups. He serves on the Board of Trustees of Skidmore College and as a Board member of FIRST Robotics. He has served as a pro-bono advisor to the Department of Defense and on the White House Advisory Council on Expanding Learning Opportunities. Xyleme, Inc. is the leader in standards-based learning content management solutions that enable single-source publishing of training content. Xyleme is 100% XML-based to create massive efficiencies through modularity and reuse. With Xyleme, organizations improve collaboration in content development, reduce time-to-market for customized training and minimize the cost of supporting blended learning. Don't miss these results of two effectiveness studies conducted by an independent researcher. 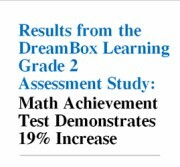 They found that K-3 students using DreamBox Learning’s online adaptive program improved their math proficiency by 19% over 2 weeks, and 50% over 2 months. This study focused on second grade students who volunteered to participate in a pilot implementation of the DreamBox Learning instructional product, DreamBox Learning K-2 Math. Twenty-seven second grade students participated in a study to examine the effectiveness of the DreamBox technology on mathematics learning over a two-week period. Students were given a paper-and-pencil pretest on the first day of the DreamBox after-school program. They were then given a parallel post-test on the last day of the DreamBox after-school program. The results were analyzed using a paired-sample or dependent t test and the results were found to be statistically significant with an average improvement in test scores. This study focused on 369 students who participated in the final research phase of the product’s development. These were students in pre-K through third grade who had volunteered to participate in a pilot implementation of the DreamBox instructional product, and who played at least 3 times. 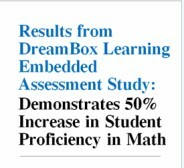 Why is adaptive learning from DreamBox so effective at building math conceptual understanding and fluency? Dr. Tim Hudson, K-12 Coordinator of Mathematics for the Parkway School District, finds DreamBox Learning so effective that he us using it in 18 schools and is seeing dramatic results. ﻿skriver, "Vi køber billetten til flyrejsen over internettet, og i lufthavnen holder vi forbindelsen til dem derhjemme på Facebook, mail eller sms. På rejsen kan vi arbejde eller se film på computeren, og når vi er fremme bruger vi mobilen, så vi kan finde vej og ringe til dem, vi skal mødes med." Transport og teknologi virker forstærkende på hinanden, skriver sociolog Mette Jensen i ny videnskabelig bog udkommet på Aarhus Universitetsforlag. Denne spændende bog stiller det grundlæggende spørgsmål, hvordan den øgede mobilitet påvirker det sociale liv - og finder svarene foretaget i en kvalitativ undersøgelse med interview med 19 danskere om deres oplevelser med mobilitet. Sociologen peger på den baggrund på, at der opstår en afhængighed af de mobile medier hos det moderne menneske på farten, og at de mobile medier samtidig skaber en livsform, hvor vi bliver inspireret til at rejse mere. Mobiltelefonen er helt afgørende i den flydende planlægning, som det moderne mennesker hele tiden befinder sig i. Har man glemt sin telefon, er det næsten som at have fået skåret en arm af, beskriver interviewpersonerne. »Klokketidskulturen, som ellers har været en central del af den moderne verden, er på vej ud. Aftaler holdes åbne og ændres i sidste minut,« siger Mette Jensen. Forskeren ser en tendens til, at vi hele tiden opholder os i en overgang fra et sted til et andet, og at vi har brug for computeren og mobilerne for at kunne navigere i den virkelighed. TutorCircle, an interesting and innovative online tutoring service was launched last week. TutorCircle offers K-12 tutoring in Science, English and Math. Unlike existing tutoring service providers, TutorCircle takes a different approach to learning. TutorCircle offers Online Math Tutoring, Physics Tutoring, Chemistry Tutoring, Algebra Tutoring and Calculus tutoring across K-12. 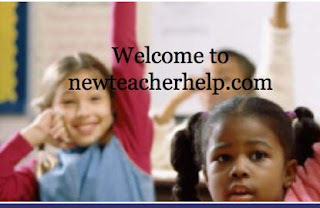 Our online tutoring is done by a team of highly qualified tutors. The tutors are handpicked after a series of assessment tests besides their online teaching credentials are also evaluated. This ensures that students get the best online tutoring experience every time they log-in. Students or parents interested in finding out more about the service can visit – http://www.tutorcircle.com. They can sign up and start taking sessions right away. TutorCircle offers a unique platform to make learning interesting and interactive for students. We offer Online Tutoring, Homework and Assignment Help across grades and levels. At TutorCircle we have extensively researched online tutoring techniques and methodologies and come up with a tutoring program that is both informative and effective. Our tutoring is customized and is done employing the latest and best techniques in online teaching. We use an interactive whiteboard for our tutoring sessions where a student can draw, write and also shares notes and assignments. Using a headset the student can talk to the tutor. The best part is all our sessions are one-on-one and completely student driven. TutorCircle has a team of highly qualified and experienced tutors. Besides excellent teaching credentials, our tutors are interested in teaching - something which gets reflected in the quality of our tutoring sessions. Our sessions are intended to develop the love of learning in a student rather than just giving them ready made answers. We understand each students strengths and weaknesses and tailor our tutoring to help a student learn to the best of his/her abilities.